blockchain is a database or digital ledger. The data in the ledger is arranged in batches known as blocks, with each block storing data about a specific transaction. The blocks are linked together using cryptographic validation to form an unbroken and unbreakable chain–hence the name blockchain. As it relates to bitcoin, the blocks are monetary units, and the chain includes information about all past transactions of that monetary unit. various companies are currently working on such a system of record. One of the most well-known is called “BlockCert,” which is an open standard created by MIT Media Lab and which the institute hopes will help drive the adoption of blockchain credentialing. how could blockchain influence student finances? For starters, financial aid and grants could be tied to student success. Instead of students and universities having to send over regular progress reports on a recipient’s performance, automatic updates to a student’s digital record would ensure that benchmarks were being met–and open up new opportunities for institutions looking to offer merit-based grants. Electronic tuition payments and money transfers could also simplify the tuition process. This is an especially appealing option for international students, as bitcoin’s interchangeable nature and lack of special fees for international transfers makes it a simpler and more cost-effective payment method. Technology is changing higher education, but the greatest value of a physical university will remain its face-to-face (naked) interaction between faculty and students. Technology has fundamentally changed our relationship to knowledge and this increases the value of critical thinking, but we need to redesign our courses to deliver this value. The most important benefits to using technology occur outside of the classroom. New technology can increase student preparation and engagement between classes and create more time for the in-class dialogue that makes the campus experience worth the extra money it will always cost to deliver. Students already use online content, but need better ways to interact with material before every class. By using online quizzes and games, rethinking our assignments and course design, we can create more class time for the activities and interactions that most spark the critical thinking and change of mental models we seek. Eyal, L. (2012). Digital Assessment Literacy — the Core Role of the Teacher in a Digital Environment. Journal Of Educational Technology & Society, 15(2), 37-49. Common to all is a view of the level of literacy as a measure of the quality of human capital of a society or a particular area. Literacy develops in interaction with the environment (Vygotsky, 1987). digital assessment literacy refers to the role of the teacher as an assessor in a technology-rich environment. Measurement allows quantitative description of a particular characterization of an individual, expressed in numbers. the combination of assessment and measurement provides a thorough and accurate picture, based upon which practical conclusions can be drawn (Wagner, 1997). A test is a systematic process in which an aspect of student behavior is quantitatively evaluated (Suen & Parkes, 2002). For several decades this system of assessment has been criticized for a variety of reasons, including the separation between the teaching-learning process and the evaluation process, the relatively low level of thinking required, and the quantitative reporting of results, which does not contribute to students’ progress. In the last decade, the central argument against the tests system is that their predictability is limited to the field and context in which the students are tested, and that they do not predict student problem solving ability, teamwork, good work habits and honesty. teachers mistakenly believe that repeating lessons will improve students’ achievements. To evaluate how well the goals were achieved, objective measurement methods are employed (Black, et al., 2004). Eshet- Alkalai (2004) offered a detailed conceptual framework for the term ‘digital literacy’ that includes: photo-visual thinking; reproduction thinking; branching thinking; information thinking; and socio-emotional thinking. Eshet-Alkalai, Y. (2004). Digital literacy: A conceptual framework for survival skills in the digital era. Journal of Educational Multimedia and Hypermedia, 13(1), 93–106. Eshet-Alkalai, Y., & Soffer, O. (2012). Guest Editorial – Navigating in the Digital Era: Digital Literacy: Socio-Cultural and Educational Aspects. Journal Of Educational Technology & Society, 15(2), 1.
a wide range of technological, cognitive and social competences—collectively termed “Digital Literacy.” Users thus must become “digitally literate” in order to cope effectively with the complex sociological, cognitive and pedagogical challenges these technologies pose. These skills include, for example, the ability to operate computers and navigate the net effectively, to cope with large volumes of information, to evaluate the reliability of information, and to critically assess what seem to be natural (and not ideologically biased) technological tools. In a different way from the spirit of modern print, learners construct and consume knowledge in non-linear environments. They need to learn, collaborate and solve problems effectively in virtual (non face-to-face) learning environments, and to communicate effectively in technology-mediated social participation environments. It is important to note: digital literacy, then, is not limited simply to computer and Internet operation and orientation. It also relates to a variety of epistemological and ethical issues arise due to the unique characteristics of digital technologies and that are often overlapped with trends related to the post-modern and post-structural era. These include questions regarding the authority of knowledge, intellectual property and ownership, copyright, authenticity and plagiarism. Furthermore, issues such as self-representation, virtual group dynamics, and on-line addiction also arise. We know that many of you have been interested in exploring Turnitin in the past, so we are excited to bring you an exclusive standardized price and more information on the roll out of Feedback Studio, replacing the Turnitin you have previously seen. We would like to share some exciting accessibility updates, how Feedback Studio can help faculty deliver formative feedback to students and help students become writers. Starting today thru December 31st non-integrated Feedback Studio will be $2.50 and integrated Feedback Studio will be $3 for new customers! Confused by the name? Don’t be! Turnitin is new and improved! Check out this video to learn about Feedback Studio! Meet your exclusive Turnitin Team! To learn more, please join us for a WebEx on September 21st. We will be offering free 30 day pilots to anyone who attends! I am prejudiced against TI and I am not hiding it; that does not mean that I am wrong. For me, TurnitIn (TI) is an anti-pedagogical “surfer,” using the hype of “technology” to ride the wave of overworked faculty, who hope to streamline increasing workload with technology instead of working on pedagogical resolutions of not that new issues. Low and behold, Juan, the TI presenter is trying to dazzle me with stuff, which does not dazzle me for a long time. WCAG 2.0 AA standards of the W3C and section 508 of the rehabilitation act. It seems to me very much like “massaged” data. This presentation is structured dangerously askew: IT people but no faculty. If faculty is present, they will object that they ARE capable of doing the same which is proposed to be automated. More , why do i have to pay for another expensive software, if we have paid already Microsoft? MS Word can do everything that has been presented so far. Between MS Word and D2L, it becomes redundant. why the heck i am interested about middle school and high school. otherwise, $3 per student, prompts back: between Google, MS Word and D2L (which we already heftily pay for), why pay another exuberant price. D2L integration: version, which does not work. LTI. There are two types of Lexile measures: a person’s reading ability and the text’s difficulty. Students who are tested against state standards receive a Lexile reader measure from the Kansas Reading Assessment. Books and other texts receive a Lexile text measure from a MetaMetrics software tool called the Lexile Analyzer, which describes the book’s reading demand or complexity. When used together, the two measures are intended to help match a reader with reading material that is at an appropriate difficulty or will at least help give an idea of how well a reader should comprehend text. The reader should encounter some level of difficulty with the text, but not enough to get frustrated. The Lexile reader measure is used to monitor reader progress. My note: is this another way / attempt to replace humans as educators? Or it is a supplemental approach to improve students’ reading abilities. 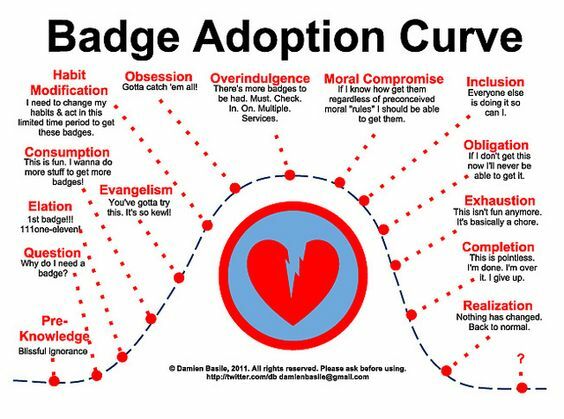 Digital Badges in Education: Trends, Issues, and Cases. In recent years, digital badging systems have become a credible means through which learners can establish portfolios and articulate knowledge and skills for both academic and professional settings. Digital Badges in Education provides the first comprehensive overview of this emerging tool. 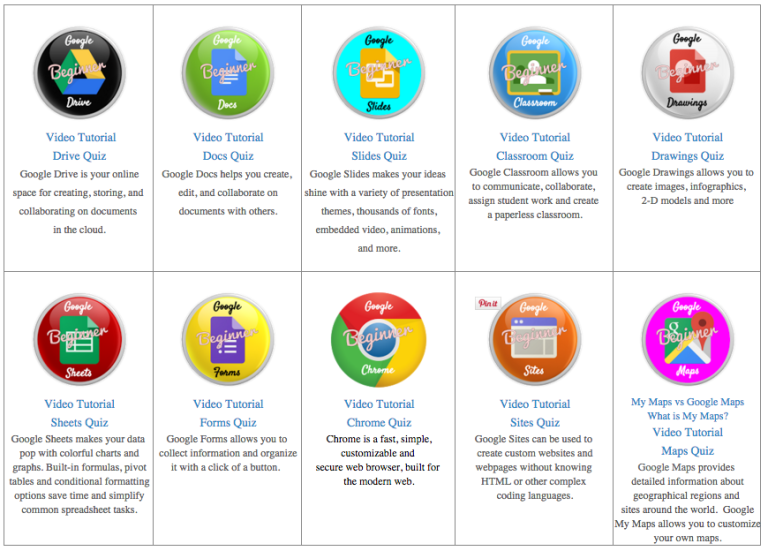 A digital badge is an online-based visual representation that uses detailed metadata to signify learners’ specific achievements and credentials in a variety of subjects across K-12 classrooms, higher education, and workplace learning. Focusing on learning design, assessment, and concrete cases in various contexts, this book explores the necessary components of badging systems, their functions and value, and the possible problems they face. These twenty-five chapters illustrate a range of successful applications of digital badges to address a broad spectrum of learning challenges and to help readers formulate solutions during the development of their digital badges learning projects. Why should I bother earning badges?